M. Myers. . Wallpaper and background images in the Michael Myers club tagged: michael myers halloween horror movies. 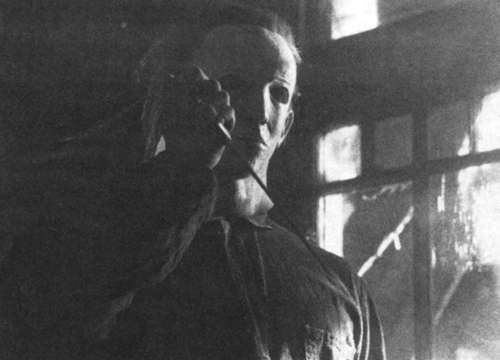 This Michael Myers photo might contain sign, poster, teksto, and pisara.